Governor Greg Abbott today joined local community and business leaders at the Laredo Chamber of Commerce annual 2018 gala in celebration of the community's economic growth and success over the past year. 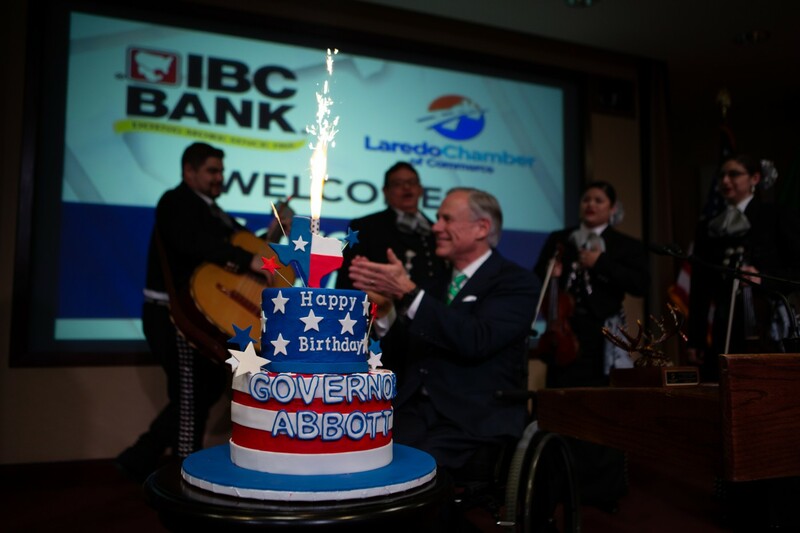 "The tremendous economic growth Texas has experienced is reflective of the hard work of the Laredo Chamber of Commerce bringing more jobs to this region," said Governor Abbott. "One of the fastest-growing metro areas in Texas, Laredo is a key part of the Lone Star State's success story, and working together, we will continue to create even more jobs." The Laredo Chamber of Commerce is the largest business organization representing businesses of all sizes and sectors in Laredo and the surrounding areas. The Chamber is structured to serve the needs of members by building a business-friendly environment and working to improve quality of life in the community.